Wheaton College is a Christian liberal arts school located just five minutes from our office. Wheaton has been pursuing educational excellence for Christ and his kingdom since the college's establishment in 1860. 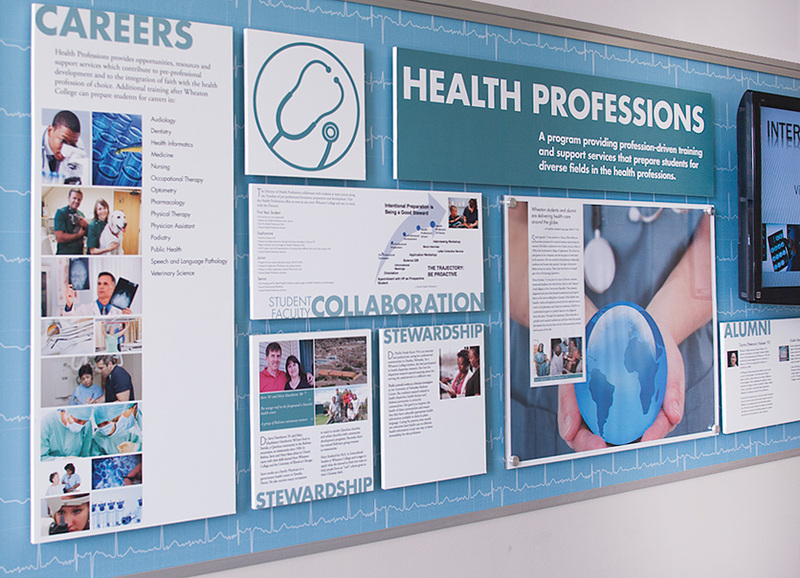 Wheaton is a big part of our local community and over the years, we've done several display projects for them. When the college built a new science center in 2010, we worked with the Maude Group, an experience design firm in Chicago, to leverage the assets of the college for potential students. The Billy Graham Museum highlights the history of evangelism throughout America. 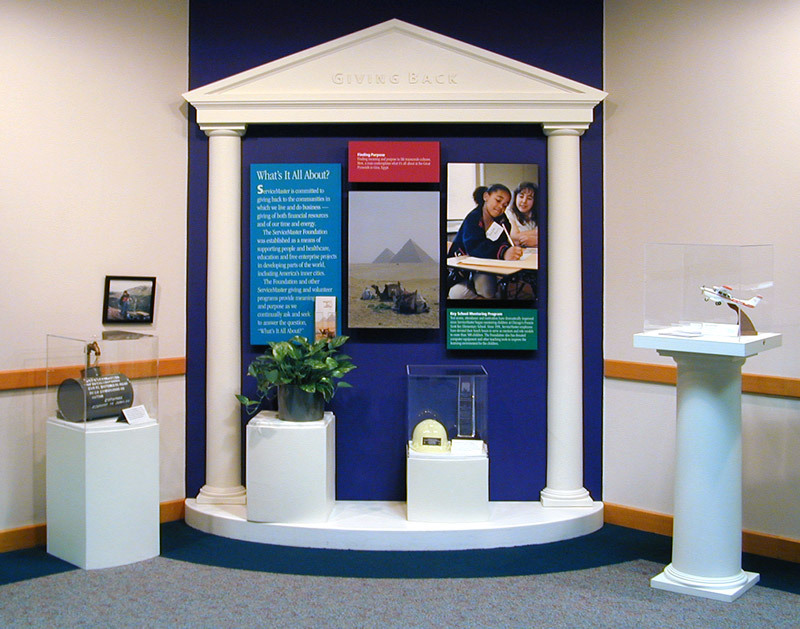 We created several of the museum installations, including this one! Located just outside the president's office in Blanchard Hall, the Alumni in Missions Wall tells the story of Wheaton's missional legacy. 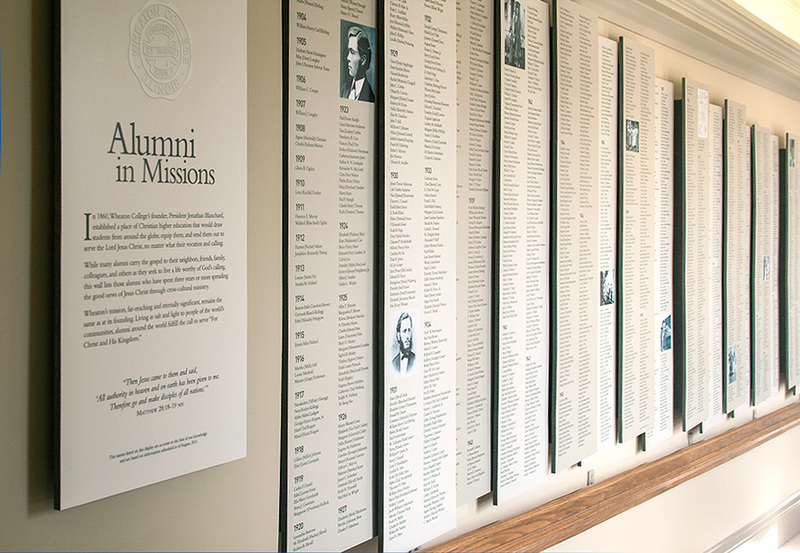 The timeline includes hundreds of names of Wheaton graduates who dedicated their lives to missions.